Description: Thousands of people, dancing and clapping in circular moves, in their traditional costumes, at the same time. 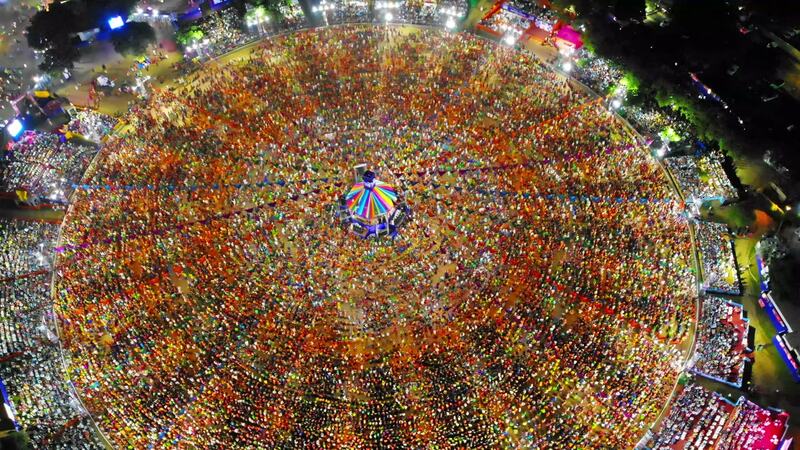 The Video is captured at famous United Way Garba Celebration at Vadodara, Gujarat, India during Navratri Festival Using DJI Mavic Air. Garba is a Gujarati folk dance celebrated in Navratri, a celebration lasting nine nights in Gujarat, India.